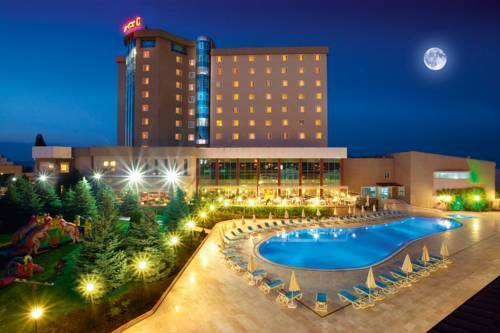 Ikbal Thermal Hotel Afyon, Hotel Turkey. Limited Time Offer! Ikbal Thermal Hotel. 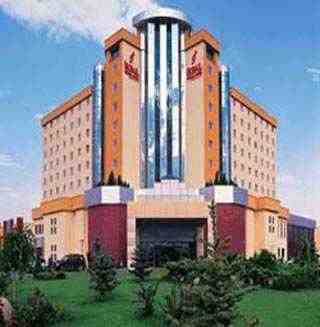 "Ikbal Thermal Hotel" is a hotel that has 5 stars. The hotel is an ideal base point from which to explore Sadıkbey. The bedrooms have been described as being bright and elegant. The residence has both an indoor and outdoor pool. The residence hosts a gymnasium where visitors can train by themselves. After a long or busy day, you have the option to unwind in the onsite spa, jacuzzi, sauna and hamam. You have the opportunity to indulge yourself with, for instance, a relaxing massage treatment. The onsite restaurant serves its regional and international specialties. For a drink before or after dinner, you will find the bar most welcoming. In the morning, you have the option to enjoy the hotel's breakfast. For those who absolutely need to keep track of work, there is free of charge Internet access available.